Welcome to my blog, a place for those who have a “weekness” for dogs, produced by someone born in the year of the dog during the hours of the dog. This site was established to enlighten readers about the state of the dog in the states of the nation. Check out our ever growing NDW Community Page on Facebook http://www.facebook.com/lisa.beginkruysman#!/pages/National-Dog-Week/218596591491974 also, be sure to visit my website at: www.lisabegin-kruysmanauthor.com for information for all my titles and publishing updates. Hi, I am Robbie Drescher’s mom. Mike and Barbara told me about your project and possible interest in including Robs story. I may have some pics of Rob with therapy dogs in the hospital. They were a highlight of his 3 month stay. We are now in the process of adopting a dog for Rob, a companion and roommate for him. Sharon, Thank you for visiting my Blog page and sharing your information with me and those who are following. I am glad to hear that Robbie is in the process of acquiring a companion dog and look forward to hearing all about the details that are involved in doing so. I look forward to meeting you, and sharing Rob’s story! Please keep posting. All the best to you and your family. 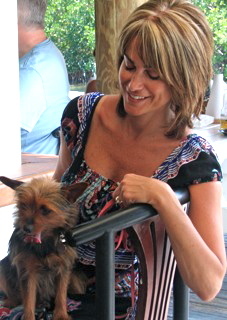 Sparkles and I applaud you on your efforts to share the history of National Dog Week. I am sure you have found some pretty incredible stories in your research! Thanks for reading and commenting, it’s always appreciated. I applaud you and Sparkles for the hard work you do, I just write about it! Yes, my story list grows and things are really heating up, no pun intended. Is Sparkles a dalmation? Yes, my four-legged friend, Sparkles, is a Dalmatian. Sparkles was rescued from a home with 62 other dogs and has helped reach reach millions of children and their caregivers with the fire safety message. 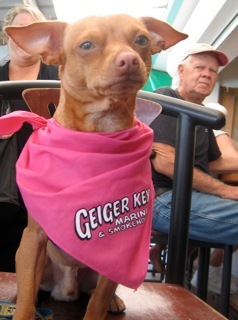 To date, Sparkles has helped save the lives of two children and their two families (http://www.sparklesthefiresafetydog.com/saves). We put a video about Sparkles for children on her blog at http://sparklesthefiresafetydog.blogspot.com/2009/12/new-sparkles-fire-safety-dog-video.html that you are welcome to watch. By this time, her dad was disoriented because he had been standing in the smoke filled room and thankfully he was able to follow Angelica out of the house. The brave firefighters later shared with me that Angelica’s father followed her out of the home and they said that as soon as he reached the door, they scooped him up and took him to the hospital (where he spent 7 days there~ 4 in ICU). Immediately after they carried him away from the front door, the firefighters stated that the home flashed over (a “flashover” is where the home totally becomes engulfed in flames). A day doesn’t go by where I don’t think of Angelica and her story and I am so thankful that she and her dad are safe. Sparkles and I do what we do, not for financial gain, but to help keep children, like Angelica, fire safe. Every fiber of our being goes to help spread the fire safety message. Sparkles is busy dog, sharing the fire safety message on her website (www.sparklesthefiresafetydog.com), blog (http://www.sparklesthefiresafetydog.blogspot.com), twitter (http://www.twitter.com/sparklestfsd) and Facebook page (http://www.facebook.com/pages/Sparkles-the-Fire-Safety-Dog/58302653884?ref=mf). Thanks for that story. I took a look at your site. You guys are really impressive. I haven’t been able to blog too much these days, but I would like to perhaps feature you in the future. I will be in touch. In my research on my book, I hear so many stories of the dogs that have been saved only to turn around and save a human. Sparkles and I truly love what we do. 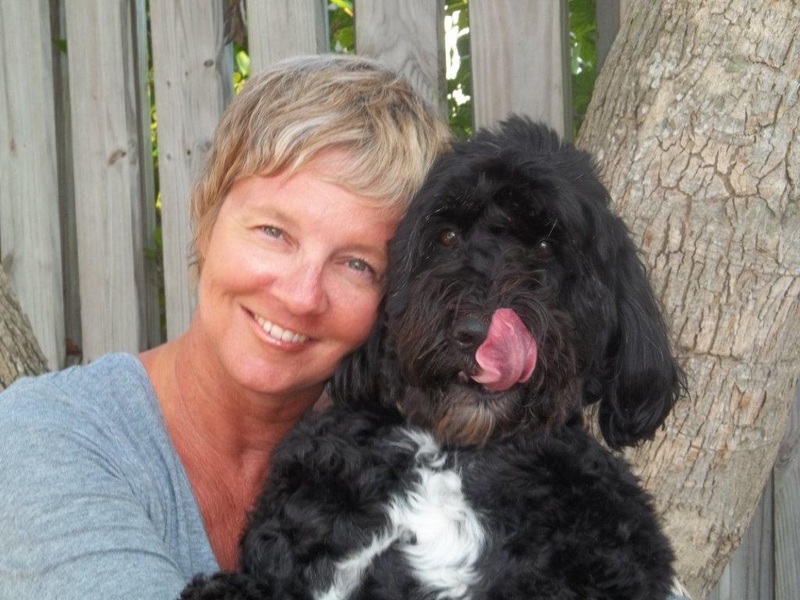 I can’t wait to read your upcoming book and the experiences that others have had with their pets. Hi Lisa, I met you today at Dave & Manette’s house. Sorry I ran to the food like a starved maniac as I was enjoying our conversation! It was nice to meet you and find your blog. Looks like I will have a lot to read – I will pass it on to Jon, too. Hi Tina, thanks for checking out the Blog. It was nice to meet you, I didn’t get a chance to hear about what you do at the Hartford Courant, I remember reading that everyday back at UCONN. That and the Daily Campus. I’ve been trying to write a new Blog post for 3 days, but it’s been hard. WIll do it this week. Please share with all your dog loving friends. Thanking your for sharing your story of McGrady. Love the recycling theme. Most do not realize that the quality of sheltering varies throughout the nation. Reputable Rescues are the so important. I was following your blog and I think it may fit to the topics that I am writing about in my blog. I would like to invite you to see my website http://www.onedoglove.net . Would you be interested in trading links or maybe guest authoring a blog post or vice-versa? My blog covers a lot of the same subjects as yours and I believe we could greatly benefit from each other. If you happen to be interested feel free to shoot me an e-mail. I look forward to hearing from you! Fantastic blog by the way!